Former John Weiland Model Home in the sought after Bridgemill neighborhood!! This home has all the southern charm you have been looking for. 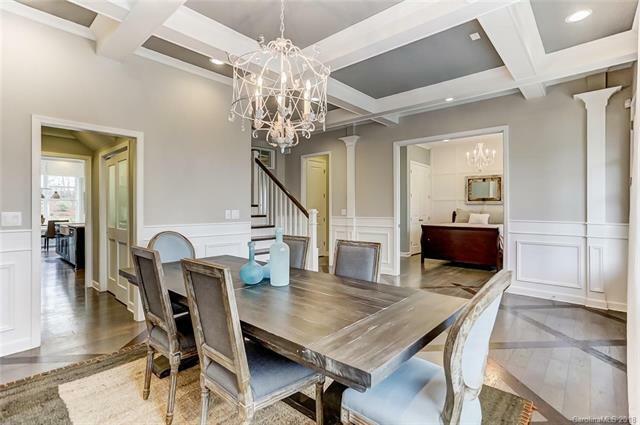 First floor features a large dining room with beautiful coffered ceiling, spacious guest suite with attached full bath, butlers pantry leading to your dream kitchen with oversized island overlooking the gorgeous family room! Upstairs boosts an open loft with hardwood floors, built ins and desk beaming with tons of natural light. Two bedrooms, one featuring built in bunk beds and connected by a Jack n Jill bath. Owners suite is one to remember with beautiful ceiling, custom tile work in bath and his & her walk in closets. Round off the second floor with the huge bonus/bedroom with full bath. Third floor also features a one of a kind bonus or bedroom with another full bath! 10 room speaker package including both front porch and back patio. Spacious backyard with paver patio and firepit. SO MANY unique features and upgrades in this home! !